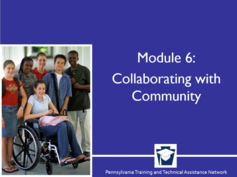 Module 5 is the fifth in a series of nine professional development modules designed to provide an overview of the Big Ideas, Concepts and Competencies described in the Optimized Inclusive Practices (OIP) in Pennsylvania Framework. The modules are designed to support district and school leaders, classroom educators, related service providers and others in the implementation of optimized inclusive practices with a special focus on students with low incidence and significant cognitive disabilities in Pennsylvania. 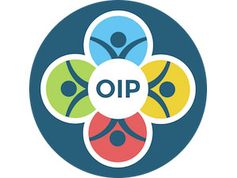 The OIP Framework outlines Big Ideas, Concepts and Competencies in eight focused areas. Module 5 provides an overview of Big Idea F: the use of effective and efficient instructional planning to minimize curricular barriers for all students. In this module, you will learn about the importance of effective and efficient instructional planning in supporting optimized inclusive practices. Act 48 credits may be available through your LEA. Participants are encouraged to discuss options for Act 48 credits with their district or IU BEFORE completing the OIP Framework Professional Development Modules. LEAs may require submission of specific documentation (certificate of course completion and documentation of completion of course activities) in order to receive credit. OIP Module 9 is REQUIRED FOR FACILITATORS who will be using the OIP Assessment Tools to support a team in examining the current status of a program, school or district in relation to Optimized Inclusive Practices. Module 9 provides an overview of the OIP Assessment Tools, the OIP Assessment Process, recommended strategies for facilitation and brainstorming and a review of materials and forms for facilitators to use in implementing this OIP Assessment Process. OIP facilitators will typically be Intermediate Unit personnel, school district leaders or school/program leaders who are familiar with the OIP Framework and have the skills, knowledge and resources available to lead a team in system-wide self-assessment and action planning related to inclusive practices for students with disabilities, including those with low incidence and significant cognitive disabilities. The OIP Assessment Tools are aligned with the Big Ideas, Concepts and Competencies described in the OIP Framework. Completion of OIP Module 1: Overview of the Framework is REQUIRED before beginning OIP Module 9. It is strongly recommended that anyone who is interested in facilitating an OIP Team complete ALL of the PD Modules currently available from PaTTAN before beginning the OIP Assessment Process with a team. The purpose of this module is to inform the educational community regarding the importance of establishing an educational culture that embraces active family engagement and how to link family engagement activities to learning. The purpose of this module is to assist school staff in creating and fostering a welcoming school environment for all students, families, and community members. The purpose of this module is assist school staff and families in developing meaningful, collaborative partnerships through effective communication in order to increase student academic and social achievement. The purpose of this module is to inform the educational community about the importance of speaking up for every child by focusing on school and family advocacy, as well as student self-advocacy. This module offers suggestions for training the school community on speaking up for every child. The purpose of this module is to discuss the importance of building school-family partnerships, by recognizing the importance of shared decision-making between families and school staff. The purpose of this module is to describe the importance of school and community partnerships, and to provide insight into how to effectively collaborate with the community. The purpose of this module is to introduce school facilitators to the Enhancing Family Engagement Online Series and explain ways in which these modules may be used to provide professional development to individuals and groups within Local Education Agencies (LEAs). Module One is the first of a series of eight professional development modules designed to provide an overview of the big ideas, concepts and competencies described in the Optimized Inclusive Practices in Pennsylvania Framework. The modules are designed to support district and school leaders, classroom educators, related service providers and others in the implementation of optimized inclusive practices for students with complex instructional needs in Pennsylvania. Module 1 will provide an overview of the framework and provide a preview of the entire professional development series. Each module will include an introduction, pre-assessment, overview of the content, implications for professional development, links to available resources and a post-assessment. Completion of Module One is required to access subsequent modules in the series. Act 48 credits may be available through your LEA. Participants are encouraged to discuss options for Act 48 credits with their district or IU BEFORE completing the OIP Framework Professional Development Modules. LEAs may require submission of specific documentation (certificate of course completion and documentation of completion of course activities) in order to receive credit. All courses and content Copyright © PaTTAN unless otherwise stated.